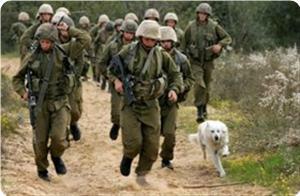 An Israeli army official claimed that the Israeli occupation forces had aborted 90 Palestinian attempts to kidnap soldiers in 2013. The Hebrew radio quoted the official on Saturday as saying that around thirty of those attempts were foiled by Palestinian Authority security apparatuses in the West Bank. He said, however, that individual resistance attacks in the West Bank did not point to the possibility of a third intifada. The Hamas Movement strongly denounced the Palestinian Authority (PA) security forces for using armed force against the Palestinian citizens in the West Bank, and described such action as a serious violation that exceeded all taboos and national principles. This condemnation came in a press release issued by Hamas on Saturday to comment on the violent campaign that was carried out recently by the PA security forces in Jenin camp, which led to the injury of several citizens, including the sons of Sheikh Bassam Al-Sa'adi, a senior Islamic Jihad official. Hamas stated that the aggressive assault that happened to the sons of Sheikh Sa'adi was an offense against all families of prisoners and martyrs and disrespect for the precious sacrifices they have made for Palestine. The Movement called on the national figures of Fatah faction in Jenin to state their position towards the violations that are committed by the PA security forces against the families of prisoners and martyrs in Jenin refugee camp. Many citizens, including Sheikh Sa'adi and two of his sons, suffered bullet injuries on Friday evening when PA intelligence gunmen stormed Jenin refugee camp and opened fire at them. PA Security Forces have stormed on Friday Jenin refugee camp and started firing intensively injuring 6 citizens including the leader in Jihad movement Mahmoud Sa'adi and the leader Bassam Sa'di's two sons. Eyewitnesses confirmed to the PIC reporter that PA forces stormed the refugee camp over a family problem in the camp, and they started firing randomly once the leader Mahmoud Saadi emerged with his nephews Yahia and Fathi, the leader in Jihad Movement Bassam Saadi's two sons. “This crime is a clear result of Israeli continued incitement against resistance movements in the West Bank particularly in Jenin”, Jihad Movement's statement said. “We have repeatedly warned of the PA forces' escalating repression and persecution campaigns against citizens”, the statement added. The movement called on national forces and factions to work seriously to put an end to the PA forces' repressive policy that fell in line with security coordination with Israeli forces. The Palestinian authority (PA) preventive security forces arrested on Thursday evening a student at al-Quds Open university Uday Awawda, aged 20 from the town of Karma west of Dura, while he was sitting for exams. One of Awawda's relatives said that Uday is very sick, as he has recently undergone surgery in the spinal cord and needs daily medical care. He added that a PA's court in Ramallah extended the detention of Uday for 15 days without taking into account his health condition. Awawda has been kidnapped and summoned several times by the PA security apparatuses. Meanwhile, the preventive security released detainee Raed Abu Ajhisha, 40, after he was severely beaten and tortured in PA jails. An international report issued by the Arab Organization for Human Rights in UK (AOHR) showed that the Palestinian Authority's security services have carried out 256 political arrests monthly during 2013. The organization said in its report that most of the targeted detainees are ex-prisoners in the Israeli occupation jails and university students. It added that the Palestinian Authority after failing to address the occupation daily violations and to protect its citizens, it has adopted a dangerous security policy based on permanent coordination with the occupation forces to arrest Palestinian citizens. 599 citizens were arrested every month during the year 2013, 256 of them were arrested by the PA security apparatuses. The detainees include children, elderly people, students, and journalists. Many of the detainees have been tortured in PA's prisons, especially in Jericho jail which has recorded the highest rates of cases of brutal torture. 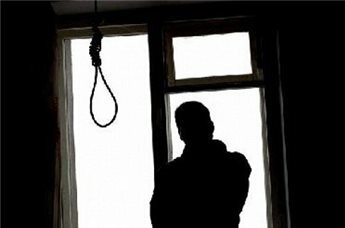 Meanwhile, local sources in Bethlehem reported that a prisoner held in the PA Preventive Security apparatus's jail, died by hanging in mysterious circumstances in his cell. Bethlehem governor Abdel Fattah Hamayel said in statements that the detainee Nawaf Kawazba, from the village of Sa'ir in al-Khalil, "had been chased for months by the security services. He was recently arrested, together with other wanted men, after his wife was killed by mistake." The detainee was held in solitary confinement. A commission of inquiry has been formed to investigate the incident and the detainee's body was taken to the forensic lab for autopsy. The London-based Arab organization for human rights (AOHR) said that the security policy which is pursued by the Palestinian Authority (PA) has made the Palestinian people vulnerable and undermined their steadfastness in the face of the occupation. In a press release on Monday, the Arab organization stated that the Israeli political and security officials every once in a while praise the PA security apparatuses and call for more cooperation, and even the PA leaders themselves have no qualms about talking about the strength of the security ties with Israel and their success in eleminating the resistance. The Arab organization expressed its dismay and regret that the serious violations that the PA security forces commit against their people in the West Bank are supported by the European Union and the US administration. "The European Union has delegated a police mission to train the [PA] security members how to suppress protests and use interrogation methods in the context of what they described as their efforts to promote criminal justice," the organization underlined. "The US and Britain have security missions working on supporting and training the PA security apparatuses, and Israel also participates in these training programs and sends lecturers to the Palestinian academy in Jericho," it added. "Despite this solid security coordination, some PA leaders come out making strange press remarks in which they demand international protection to face Israel's different repressive acts, including arrests, raids on homes, killings of Palestinians and settlement construction, as if these violations take place without security coordination with the PA security apparatuses," the human rights group highlighted. "The Palestinian people need international protection first to face the aggression of the PA," it noted. The organization held de facto president Mahmoud Abbas fully responsible for the political arrests taking place in the West Bank, affirming that these arrests and the violations that happen during the detention process violate the international law and the Geneva conventions. A suspect being held in Palestinian Authority custody committed suicide Monday evening at a detention center in the southern West Bank city of Bethlehem, sources told Ma'an on condition of anonymity. The sources highlighted that the suspect was accused of multiple criminal acts including murder and possession of illegal weapons. Governor of Bethlehem Abdul-Fattah Hamayil confirmed to Ma'an that Nawwaf Kawazba from Sair in Hebron district committed suicide in his prison cell. The body, he added, will undergo an autopsy to try and determine the cause of death. Hamayil explained that security guards found Kawazba's body hanging in the solitary confinement cell he was being held in. He was immediately evacuated to hospital, but medics announced that he had already died by the time he arrived. Kawazba was arrested earlier in December after an attack on a police station in Tuqu village east of Bethlehem in which a police officer was shot dead. Palestinian security suspected Kawazba of involvement in the attack and other criminal acts. Kawazba's wife Khalidah Taysir Kawazba, 30, was mistakenly shot dead in May when police officers fired at a car Nawwaf was driving in Sair. He was a wanted fugitive at the time. The PA and Israeli forces continued arrest campaign targeting Hamas cadres and university students in West Bank. PA security forces arrested three members of Hamas in Tubas, Tulkarem and Nablus including a university students, while the Israeli occupation forces (IOF) arrested three students in al-Khalil. In Tubas, the PA preventive security apparatus arrested on Wednesday ex-detainee Samer Bani Odeh, who spent 17 years in Israeli jails,. 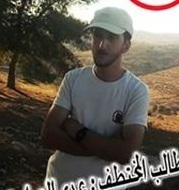 In Tulkarem, the PA intelligence agency arrested a student at al-Najah national university named Musab al-Hosari, knowing that he is an ex-detainee in Israeli and PA jails. 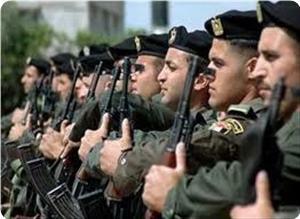 In Nablus, the PA intelligence arrested Anwar al-Skhal, 20, after failed attempt to arrest him last Tuesday. Anwar has been arrested several times by the PA security forces, knowing that his brother is a prisoner in an Israeli jail and his father has died in a PA jail. As part of its security coordination with the PA security forces, the IOF arrested a student at Palestine Polytechnic university Mahmoud Humidat, a senior member of the Islamic bloc, after raiding his house in Surif town, north of Al-Khalil. The IOF have detained Humidat's family members to force him to turn himself in. He is a liberated prisoner who spent 8 months in Israeli jails, and was detained twice before by the PA security apparatuses. The IOF also arrested the liberated prisoner Mohammed Sayarh, a student at al-Khalil University, after raiding his house in Kharas town west of al-Khalil and student Nael Khalef after storming his house, knowing that his father has been detained and sentenced in Israeli jails for seven years. The PA and Israeli forces have launched systematic arrest campaigns against members Islamic student bloc at West Bank universities. Seven members of the Islamic bloc had been arrested on Wednesday by the PA security forces after storming Nablus, Qalqiliya, and Tulkarem. In turn, the IOF stormed Annan Atauna's house, a student at the Polytechnic university while they arrested student Ammar al- Assad at a military checkpoint near Ramallah. The magistrates' court in Tubas city extended on Thursday the detention of Samer Bani Odeh, 44, for two weeks after being arrested from his home on Wednesday evening. Bani Odeh's family told the Palestinian information center (PIC) that the magistrates' court extended his arrest for 14 more days with no charges leveled against him. The PA security forces arrested ex-detainee Samer Bani Odeh on Wednesday after dragging him on the street for a long distance in front of his family. Bani Odeh, has spent 17 years in Israeli jails for his resistance activities. Palestinian preventive security forces on Wednesday detained two Israelis for distributing drugs in Qalqiliya, the district's governor said. 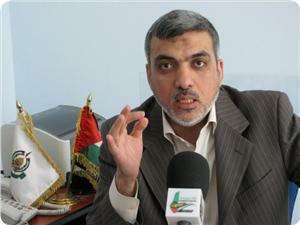 Abdullah Kameil told Ma’an that the Israelis would be handed back to Israel. Kameil said that Palestinian security forces' anti-drug policies had been successful, forcing Israeli dealers to distribute drugs in Palestinian cities themselves. PA security forces arrested the liberated prisoner Samer Bani Odeh, who spent 17 years in Israeli jails, on Wednesday after dragging him in the street for a long distance in front of his family. Family sources said that PA security forces stormed Bani Odeh's house in Tubas on Wednesday and summoned him to its headquarters on Thursday. He told the storming forces that he has to sit for three exams on Thursday, vowing to meet its summons after the exams. Bani Odeh told the PA official that he is banned from traveling to Jordan or occupied territories in 1948 in an attempt to confirm his vow; however, the PA commander insisted on his arrest. The PA official ordered his forces to drag Samer in front of his wife and children for a distance of more than 300 meters and took him to an unknown destination, the family added. The family declared its intention to organize a sit-in outside PA Intelligence Service headquarters in Tubas until the release of Samer. Samer Bani Odeh, 44, has spent 17 years in Israeli prison for his resistance activities. He didn't complete his studies yet due to his repeated arrests. PA Intelligence Service arrested on Monday six Palestinian students at Kadoorie University in Tulkarem and confiscated their car, before taking them to its headquarters. The detained students were on their way to Nablus city to see the snowfall accumulation. Once they reached the city, they were arrested at a Palestinian police roadblock. 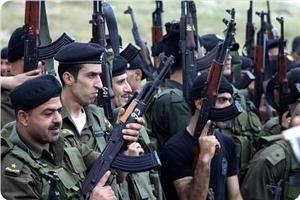 They were taken to PA Intelligence headquarters in Tulkarem after the confiscation of their car. The Palestinian Police in the West bank district of Bethlehem, has reported that an officer was shot and killed, on Tuesday [December 10 2013], after gunmen opened fire at a Police station in Teqoua’ town, east of Bethlehem. The slain officer has been identified as Nasser Daraweesh, from Beit Kahel town, in the southern West Bank District of Hebron. Medical sources at the Palestinian Red Crescent Society in Bethlehem said that Daraweesh died of a gunshot wound to the chest. Bethlehem Governor, Abdul-Fattah Hamayel, stated that gunmen opened fire at the Police station, killing the officer, and fled the scene. Hamayel added that the Police initiated an investigation into the attack, adding that the Police and security departments “will not allow this crime to pass unpunished”, and will not tolerate any criminal acts, and acts that aim at creating chaos and insecurity. On December 9, a Palestinian man identified as Hasan Mubarak was shot and killed by Palestinian Police fire in a nearby village. The Police said the man was wanted for criminal acts and that he was “accidentally hit by warning rounds”. 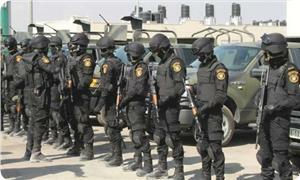 The Police added that Mubarak was armed, and was involved in a fight between two families. His family denied the claim and said the police ambushed him at a local school, and shot him dead. Palestinian Authority’s security men shot at and killed a Palestinian man during an attempt to arrest him in Bethlehem city on Monday. The PA police said in a statement that Hasan Mahamid was killed during the attempt to arrest him after a warrant was issued for his arrest. 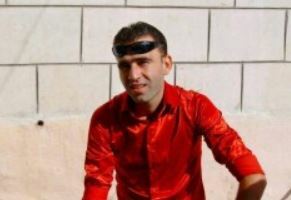 The statement said that PA policemen detained Mahamid in Asakra area and when he tried to escape they shot at him. It added that a bullet hit the man in his back and he was taken to hospital where he succumbed to his injury. Tension is running high in the city after the incident and PA security elements were seen deployed near the deceased’s family home. Mr. Mahameed worked for five years as a PA police officer after he was released from israeli jail. He was forced to resign from his work after his father’s death in a fight with the Al-Wahsh family, a clan that has strong connections with the PA and the Fatah movement. Several eyewitnesses confirmed that Mr. Mahameed was unarmed at the incident. He was driving his car to pick up his daughter from school because of the severe cold wave. 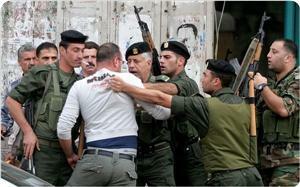 The Palestinian police force, a militia trained by the EU COPPS, intercepted him. He was beaten to the ground where the police shot him. The bullets hit him directly in the back and exited from other parts of his body. The spokesperson of the Palestinian Police spread lies about the incident as is usual after each crime they perpetrate. He claimed that the forces shot Mahameed after he “escaped during an attempt to arrest him” and that he was wanted since 2005. 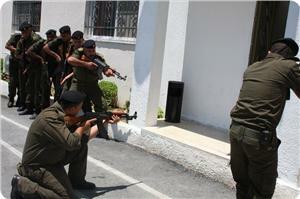 The Palestinian paramilitary Police has perpetrated many of murders during supposed attempts to arrest Palestinians. On June 15 2013, the Palestinian militarized police murdered a Palestinian elderly man, Mr. Sadi Al-Skhel from Nablus. On May 8, 2013, Khaleda Tayseer Quazbeh, 30, a mother of 13 children from Al-Minia in the district of Bethlehem, was murdered in cold blood by PA police in civilian clothes. 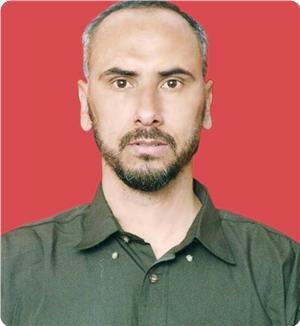 On 23 February 2013, another Palestinian prisoner, Ayman Mohammad Sharif Samara, 40, was arrested by the PA police and “died” on 1 March 2013, at the Jericho Prison in the occupied West Bank. On April 15 of last year 2012, the Palestinian police and security forces executed in cold blood the Palestinian youth Amthal Ghannam al-Ghwadre in the village of Bir al-Basha. The murder of Mr. Mahameed and other Palestinians goes to the account of the EU COPPS. The European police unit COPPS has been stationed since years in Ramallah and trains the Palestinian Police in the suppression of the Palestinian civilian society and of any citizen who would express views against the occupation. In which country in the EU does the police drag prisoners around in this miserable way? The EU COPPS is garrisoned in Ramallah and works in occupied Palestine according to supplemental political protocols imposed on the Palestinian people. Their presence has resulted in a great increase in the brutality of Palestinian police. They are fully responsible for mass arrests, torture, deaths and continued violations of human rights perpetrated by the Palestinian police. 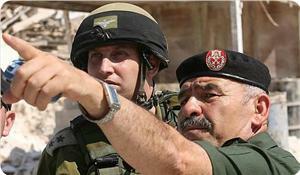 The European COPPS forces train the Palestinian police to do their dirty work which simply can be described as methodical violations of the international humanitarian law, as repressive dictatorship gangs whose tasks are defined simply as suppressing Palestinian opposition to the occupation and to turn Palestine into a bigger Guantanamo. The picture proudly displayed at the COPPS website tell the truth of what COPPS does. In the picture above the trainees can be seen dragging captives around in a disgusting way, as this would not be done in any European country. The Palestinian Anti-Narcotics General Administration in Nablus has apprehended two Israeli settlers from nearby Taffuh settlement for selling drugs in Nablus a few days ago, the local director revealed on Saturday. Shehadeh Amer told Ma'an that the anti-narcotics body detained two settlers in the village of Beta south of Nablus and subsequently turned them over to Israeli police. The two detained settlers sold drugs primarily in Nablus and Jericho, Amer added. 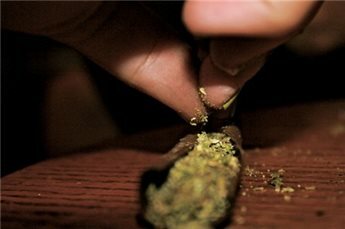 Amer said that drugs sold in the West Bank primarily come from Israel and are transferred through West Bank laborers who work inside Israel, Palestinians living in Israel, and settlers. He added that settlers have only recently became active in drug distribution. Amer added that Nablus has one of the lowest levels of drug usage in the West Bank. Political bureau member of Hamas Ezzet Al-Resheq has warned of new security arrangements being prepared by the American administration for the expected PA-Israeli settlement. Resheq said in a press release on Wednesday commenting on US secretary of state John Kerry’s visit to the region that the American administration had proven on more than one occasion its unwavering bias in support of Israel. Kerry’s repeated visits to the region only target pressuring the Palestinian negotiator into surrendering more concessions and acquiescing to Israeli schemes, he added. He said that such a security plan within what the Hebrew press called “permanent settlement” would only be harmful to the Palestinian people’s interests and would serve the “Zionist enemy’s agenda”. Resheq affirmed that the Palestinian masses would never accept any agreement concluded away from national consensus and any settlement that would surrender national rights and constants. The Hamas leader urged the Palestinian Authority not to bow to American pressures, asking leaders of Fatah faction, the main component of the PA in Ramallah, to immediately end the negotiations process and return to the national reconciliation process.